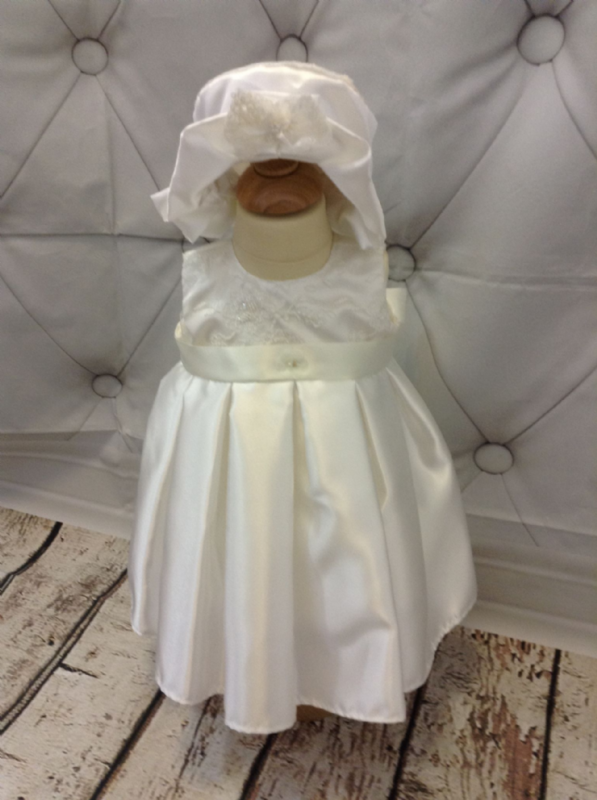 Lace Bodice Christening Dress with Satin Skirt. Lace Bodice Christening Dress, with Satin Skirt. 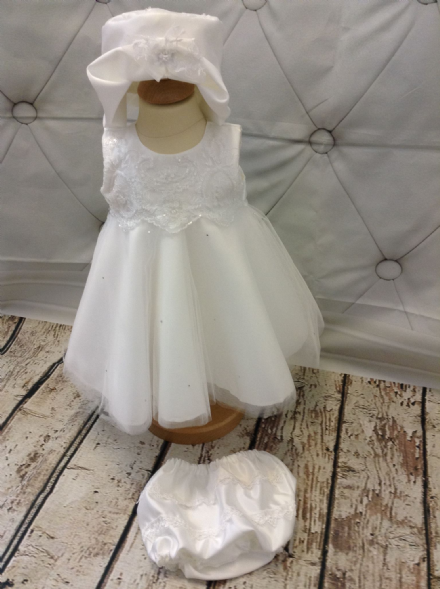 Ivory sleeveless christening dress with lace bodice, satin skirt. The dress is fully lined in polycotton, including petticoat under the skirt. . The lining is soft and cool against baby's skin. There is a zip fastening to the back, making it easy to put on and take off, and comes complete with hat.